The Assistant Agricultural Commissioner is appointed by the Agricultural Commissioner/Sealer of Weights and Measures and assists the Commissioner in the overall direction and management of the department and serves as the Commissioner in the event of an absence or schedule conflict. 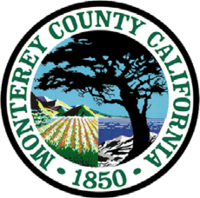 The individual will assist in the oversight for a wide variety of environmental programs and controls critical to the health and well‑being of Monterey County’s natural resources and agriculture sector. These include agriculture worker health and safety; regulation of pesticides; pest prevention, exclusion, and eradication services; and consumer protection. He/she will help the Commissioner safeguard the County from the introduction of harmful pests and diseases detrimental to agriculture and the environment; and promote and protect agriculture and providing assurance for business and consumer confidence in the market.